STEVENSVILLE – Daniel “Dan” E. Hastings died suddenly and unexpectedly of natural causes at his home on Aug. 15, 2013, three days short of his 67th birthday. He was born Aug. 18, 1946, the eldest of nine in Butte America, to Ed and Ann (O’Gara) Hastings. 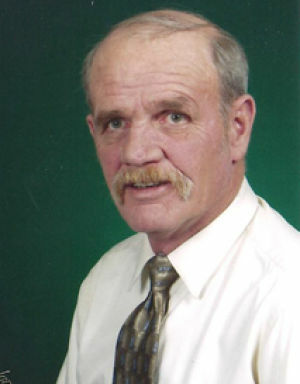 He attended St. Mary’s Grade School and graduated from Butte Central High School in 1964. The following year, he and his close friend, EJ Gordon, enlisted in the Navy. He served aboard the USS Repose until his honorable discharge. Dan married Terry Wallace of Butte and had three children: Mike, Shauna and Steve. They were later divorced. In 1978, he married Barbara (Swick) Hastings in Miles City. They immediately moved to Missoula and a few years later to the Stevensville area, where they have resided since. Before retiring, Dan had worked for a total of 26 years in the electrician/fiber optic trade, the majority with Mountain Bell/US West/Quest. During his retirement, he found out that “idle hands are the devil’s workshop,” and returned to work before retiring again in 2007. Dan was a staunch union supporter and was an union steward of the International Brotherhood of Electrical Workers Local 233 for many years. During retirement he was active in American Legion Post 94 and recently served as commander, a title of which he was extremely proud. Dan was also a charter member of the Knights of Columbus-Our Lady of the Mountains Council. He enjoyed many activities, but was always happiest when he was with family. He realized a lifelong dream with a trip to Ireland in 2007. Dan was preceded in death by his grandparents, parents, infant brother, Michael and sister, Patti (Trevena). He is survived by his wife of 34 years, Barbara, and his five children: Michael of Missoula, Shauna (Bob) Yelverton of Wichita, Kan., Steve of Horatio, Ark., David of Laurel, and Danny of Missoula; grandchildren, Chance and Sierra. Other survivors include his brothers and sisters, Mary Kay Rowlett of Cottage Grove, Ore., Jodi (Ed) Morgan of Coeur d’Alene, Idaho, Sharon (Randy) Guizzo of Butte, Ed (Diane) Hastings of Helena, Tom Hastings of Helena, John (Tawana) Hastings of Iowa; and the many beloved nieces and nephews. Also surviving Dan are his mother-in-law, Ethel Swick of Miles City; brothers-in-law, Bruce (Carol) Swick of Helena, Bob (Jeanne) Swick of Moorhead, Minn., and their families. A vigil service will be held at St. Mary’s Parish in Stevensville at 7 p.m. Tuesday, Aug. 20. Funeral Mass will be celebrated in St. Mary’s Parish at 11 a.m. Wednesday, Aug. 21, with military honors provided by Stevensville American Legion Post 94. Inurnment will take place at 10 a.m. Thursday, Aug. 22, at the Holy Cross Cemetery Mausoleum at 4700 Harrison Ave. in Butte. Memorials may be made to the Butte Central Education Foundation, PO Box 634, Butte, MT 59701; St. Mary’s Parish in Stevensville, Pantry Partners or a charity of your choice. Condolences and memories may be left for the family at www.whitesittfuneralhome.com or express condolences at www.mtstandard.com/obits.